Last year we planned a trip to see friends in Washington DC. We had tried to go a few times, but each time our son was sick and we kept delaying our trip. We were finally able to visit them in early April. We ended up in Washington D.C. right as the Cherry Blossoms were in bloom. It was beautiful. Since I grew up on the West Coast I did not really know anything about the Cherry Blossom Festival. It is not really a trip you can plan for if you are flying because with the different winters the actual date varies. This makes it hard to plan for and it really isn’t advertised. Also growing up in the Central Valley of California there are plenty of fruit tree blossoms to see on the Blossom Trail. But the Blossom Trail is so different from seeing the Cherry Blossoms in DC. 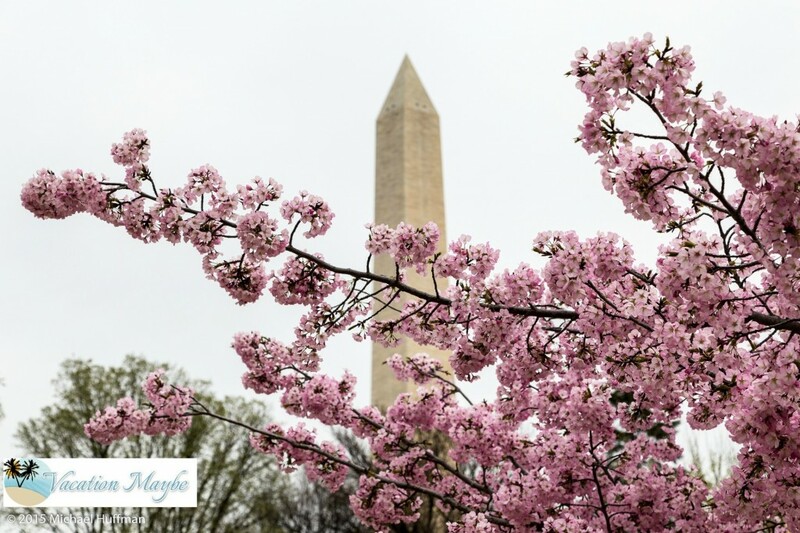 The monuments and statues of the downtown DC area are beautiful on their own and when you add in the fresh cherry blossoms the beauty is intensified. In 1912 the planting of the cherry trees began as a gift of friendship from Japan. Four trees were cut down on December 11, 1941 in what is believed to be retaliation to the Pearl Harbor attack. During World War II the trees were referred to as oriental trees to help ensure their safety. Today people come from miles to see the beautiful blooms and work continues to maintain all the beauty the trees have to offer. My favorite place to see the trees was walking on a path near the Potomac waterfront. If it had just been my husband and I we might have taken advantage of the paddleboats and rented one for another view. If you are ever in the Washington DC area in early spring I would highly recommend taking time to see the beautiful Cherry Blossoms in downtown DC. 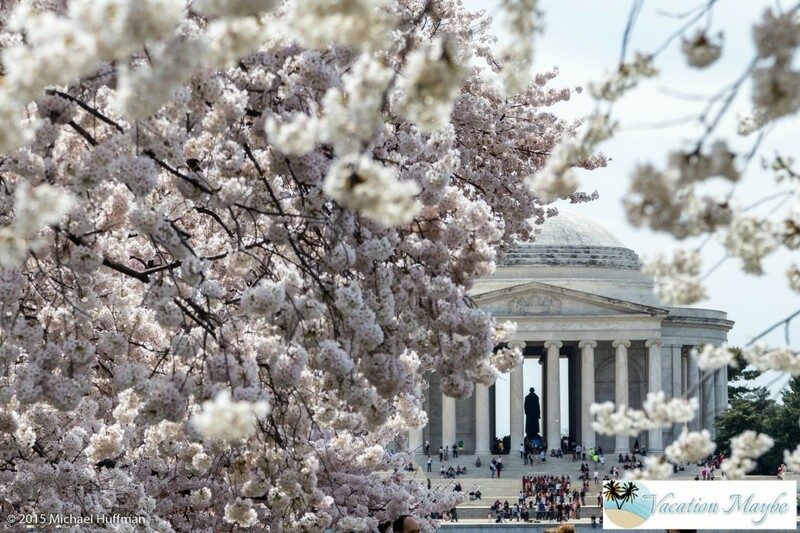 The 2016 National Cherry Blossom Festival is planned for March 20th through April 17th. Check this calendar to see the various events planned so you can decide if there is a specific time you would rather go. If you have never been I would recommend reading some of the FAQs to help you make decisions about your travel. I recommend traveling by train if you can and to use the Metro system instead of driving around town. My favorite event at the Cherry Blossom Festival is actually the kite festival. This year the kite festival takes place on April 2th from 10A- 4:30P. In past years we have made our way to the kite festival close to lunch time and had a picnic lunch while we watched all the hundreds of kites flying around the Washington Monument. You can take your own kite but be aware it is very crowded. Speaking of crowds, try to go to the Cherry Blossom Festival on a week day and you will have smaller crowds to navigate through. Do you visit any spring festivals in your area? We would love for you to share with us about any so we can check them out too! 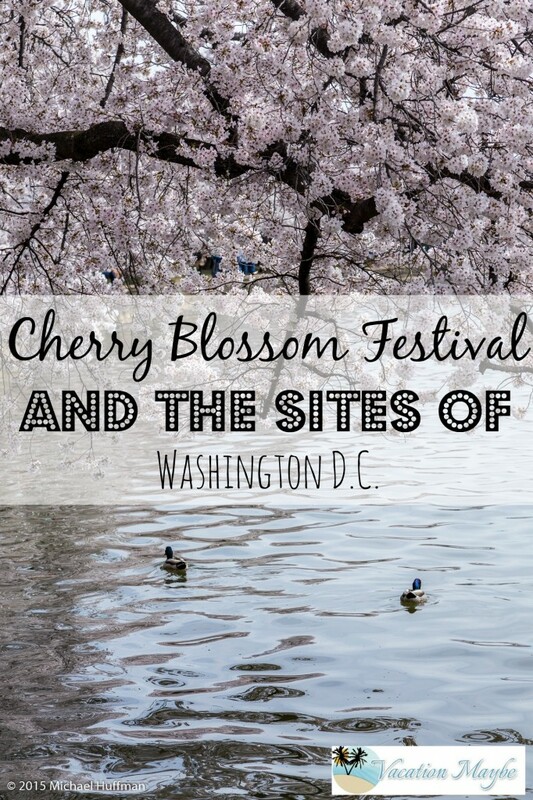 The Cherry Blossom Festival is the time to visit DC!